These Rocker Pod Extensions include a Polished Aluminum Diamond Plate top step surface. Color - Black Sand Tex. 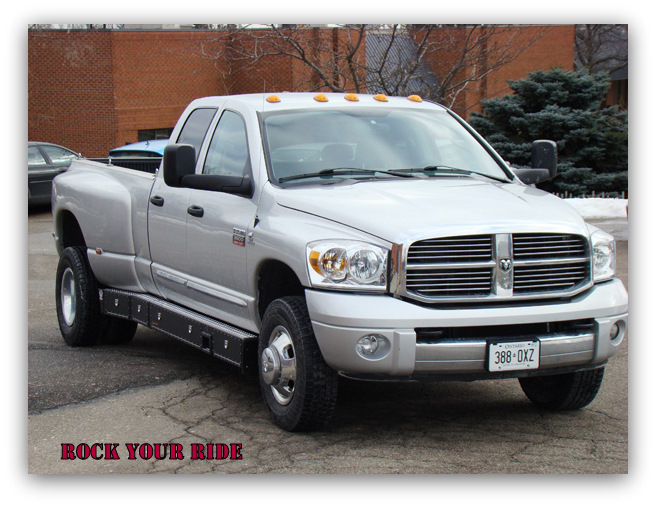 These Rocker Pod Extensions extend to the rear wheel well and include a Polished Aluminum Diamond Plate top step surface. Color - Black Sand Tex.